It can be confusing for potential customers to know what a psychic reader actually does. Often a caller has not looked at your website, and I may find myself explaining that I do not work as a medium. No, I tell them. I do not ‘get the other side.’ And I don’t. I really don’t, but I have experienced things, some rather odd, that mean I don’t like to send people away entirely empty-handed either if I can refer them or help in some other way. One night not long ago I was rung by a lady wanting a medium, ideally to come to her house 20 miles from where I live. I explained that I was not a medium, and she said she needed help desperately, because something was going on in the house, terrifying her, her partner and the children. Someone – a woman- a ghost?- had spoken to one of the children. Now, at 8 in the evening, they were all huddled in the sitting room, scared even to go to the toilet. This wouldn’t do. And yes, fear is contagious but pooh-poohing would absolutely not do. I said I’d make enquiries but meantime stated emphatically that there was absolutely no danger. The whispering lady may have been a dream, but whatever it was, she meant no harm. She had said only loving things, hadn’t she, to the child? For now, I suggested the lady put a comedy film on the telly, switch all the lights on, make a noise and dominate the house. Assert her claim to the space right now, going straight to the kitchen to make hot drinks for everyone. A few quick cards did include the Death card reversed, indicating there may indeed have been something ghostly either in the house OR in the memory of someone in the family. But what is a ghost anyway? A sentient being, knowing exactly what it is doing, or the manifestation, seemingly external, of a memory with great power and atmosphere attached? If the children saw that she wasn’t frightened, perhaps they’d take their cue from her, and then maybe the strange manifestations would also calm down. I felt there was stress in the house and one of the children in particular was highly sensitive to atmosphere, but sensed this was some kind of stress related psychic family event rather than a haunted house situation. Later I called back with the name of a reputable medium able to make house visits.The medium and I have spoken subsequently and I was glad to connect professionally with such a nice, capable, cheerful sounding sensible person for potential future referral. The medium told me that in her opinion, the house was not of itself haunted, but the lady had worries and had suffered losses I won’t mention here. The whispering ghost was, according to the medium, the children’s grandmother. However unwelcome this manifestation, her whispered words to the frightened child suggested her care and love live on, at least in the memory of a close by living person not aware of the power of their own mind …. The funeral had been held the previous day. This was a loaded question, even though I hold no religious belief, nor a brief for or against heaven. What does it mean, ‘heaven’? What does ‘yet’ mean? I could just have said yes, and that would have been the easy thing but contrary to what ‘skeptics’ might expect, a sincere reader will not ‘diss’ his or her oracle by making up answers. People do NOT pay just to hear my personal opinions. Access to oracular Tarot is what they have come for and that is what they get. Tarot drew the Three of Swords and Queen of Swords Reversed. These indicated that her father had been at loggerheads with his wife for a long time, which the client confirmed. Here then, I concluded, I was reading the dead, not as a medium, but through the telepathy of the living person who had known him. That’s what Tarot does, operates via telepathy – in this case, via my telepathy with the living person sitting with me whereby I intuitively accessed her own understanding of the person who had passed on. The indications to me were that he had been terribly frightened at the imminence of death but the moment, when it came, was so easy, he hadn’t fully cottoned on yet that it had actually happened. He only knew that he felt better but strange and different. I felt quite sure he was still in the ‘valley’, but he wasn’t frightened and he was doing all right. He was getting there, wherever or however it is we go. She could talk to him, I suggested. He might still be in hearing range. Tell him out loud what had happened and tell him he was fine, and so was everyone else at home. (His wife too. Loggerheads or not, there was still warmth of feeling there.) This idea did not seem to disturb my visitor. She smiled and said she would probably do that; it seemed quite in character for him to take a while to make up his mind to go. Death is as individual as it is universal. And while the oracular doesn’t fudge the inescapable, that death may be uncomfortable or even painful; an anxious, confusing or downright frightening experience, there is something beyond or afterwards, there is indeed something outside our ken, more easily experienced than described. Humanity has known this from the beginning, and religion does not come into it, though it rose out of it. We could have stayed immortal, had we been content to continue as primordial soup reproducing ad infinitum by identikit cell division. But we weren’t. We, the current denizens arisen from that protean soup, got bored and demanded a new deal. The soup began to mutate new programmes and to differentiate and create amazing and interesting plants and animals, but this demanded unimaginable feats of energy, space and organisation. And this in turn demanded boundaries so that Life came up with the solution of Death, and while Death might seem the ultimate antagonist, anathema to us in our highly realised state of individual awareness, we should at least give it credit for letting us out of the soup, and after all, that was always the deal. So thanks, Death. I am grateful to be me today, not heaving in the soupy-gloop, bored right out of my tiny multitudinous nucleii. And I will try and remember that next time I am fed up, or Il Matrimonio annoys me or I don’t feel like cooking the tea. Today it’s casserole – rather primordial in fact, but I predict it won’t have enough time to get bored and mutate. The lines on these roads are not where we paint them. There is more map than there are roads on the map, and the map itself is subject to parameters not proven. Further reading: The Power of the Pendulum both by T.C Lethbridge in which he sought to demonstrate by scientifically conducted enquiry that the soul is probably immortal. Soon the children will be going back to school. What makes a teacher be a GREAT teacher? Curiosity about Life, respect and generosity. Life invites ongoing learning. Progress demands it. ‘Schools out for EVER. School’s out COMPLETELY’…though it never is, or shouldn’t be for anyone with a curiosity greater than an amoeba’s. Teachers: great ones, good and bad ones, the malevolent or indifferent. The ones I remember with affection, I remember for a variety of reasons. Gentle bachelor Mr F always wore a salmon pink jumper and taught history. I was in his good books for ever, after asking a guest historian, a Professor David Hampson, what was later termed in my report, as ‘a very perceptive question’…an over-egging of my achievement my family found hilarious. Mr F died of cancer quite young, and was remembered by later pupils as prone to violence. But it was the affliction of the tumour in his brain, creating cruel change. He threw blackboard dusters at people.A most gentle person. It wouldn’t be allowed today. Big, loud, red-faced Mr W, was Head of Hawk House, of which I was an incumbent and he taught me Maths. You’d hear the roaring from his office after assembly as he dealt with one bully or another. One of my ‘life lessons’ came from an elderly and very gentle science teacher. Mr Vest (yes, really) gently admonished me one day for my untidily presented homework. Embarrassed, I explained that my pen was leaky. I couldn’t guess which one he might mean. An apple for teacher. But our memories are the apples they have given us, crisp and sharp, rosy and polished, maggoty and rotten. Tarot cards can be used in combination with dowsing techniques to hunt for missing items. The other day I got a Skype call from my sister in France. She teaches English as a freelancer with several client organisations including colleges. It’s been exam time again, and she wondered if I would take a look to try and help her ‘find’ a missing examination paper. She gave me the background. I fetched a pendulum. It wasn’t one I’d used before so I asked it to show me its signals for yes, no and maybe. It showed me that it would use a clockwise circle to say yes, an anticlockwise circle to say no, and a tick tock motion to say maybe or to to indicate that it was still thinking. I asked, Does M (this was my sister) have it in her sphere of keeping at this moment? I got a vigorous anti clockwise movement…an emphatic no. I asked: Does F (the colleague my sister had been co-marking with, who had reported the paper as lost) have it in her sphere of keeping at this moment? I got a clockwise movement. Yes. This was a relief to my sister, but she wanted to know if F would be able to find the missing exam paper quickly. Losing one was no joke at any time or for any reason but it belonged to a very deserving and conscientious student, too. I drew 6 upright cards out of eight. This was an encouraging answer with an affirmative implied. It looked strongly likely that the paper would be recovered that same day. Then I focussed on imagery in the individual cards to suggest clues as to where it might be. I had a lot of 3’s in my row of cards, I noticed. I had 3 cards with a number 3 attached. 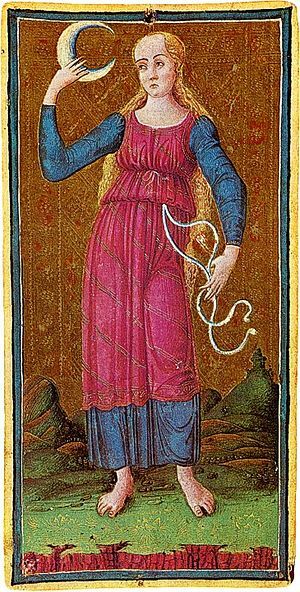 I had The Empress (Major Arcana Three) Motherhood? Was someone in F’s office having a baby? I asked. I had the 3 of Coins (3 sharing an office?) Were there 3 desks in F’s shared office? Up to 5 people currently used F’s office, my sister explained. There were 3 desks. One colleague was away on Maternity leave and had just had a baby boy. Someone else was using her desk right now. Well, I said, I don’t know, but I think it’s just been misplaced in F’s office. And the number 3 looks like the Tarot’s clue to where the lost paper is right now. I drew another card. It was The Page of Swords. The suit of swords is strongly associated with IT and Computers. The Page to me often signifies a window or a screen. It was an email from F. The missing paper had been found. It had got in with the wrong batch of papers. It had got in with the YEAR 3 papers. In Praise of Fathers, All Hail To ‘The Emperor’ …. 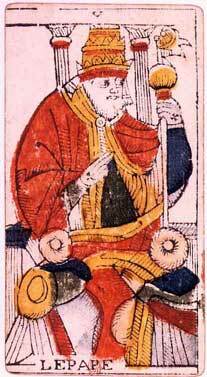 In view of the fact that today is ‘Father’s Day‘, as if for a father, every day is not, I thought I’d talk about the ultimate Tarot card of Masculinity with a capital M, The Emperor. In general, ‘The Emperor’ appearing in a Tarot reading signifies the current extra significance of an important man in your life, at an individual level. He’s a father, husband, employer, friend or advisor. At a conceptual level, The Emperor stands for government, law and order, other big, hierarchical organisdations. He is the Armed Forces. He is the principle of protection and of the guardian at work in society and in the home. See those ram’s heads on the arms of his throne? The Emperor is associated with the sign of Aries, the fiery ram. It may indicate a future event occurring at that time of year. Not surprisingly I’ve drawn this card when doing readings for police officers, both male and female. Women too can embody The Emperor’s qualities. But once – and I won’t handle any more requests for lawsuit predictions; I drew the Emperor card, and it was talking about a real live judge. This judge was in the US. We won’t say where. My client was very anxious on her son’s behalf. He had been accused of sexual assault. The details of the charge sounded so minor as to be almost laughable, but even so, and whatever the truth, the man faced serious consequences. He was a teacher and had been suspended from his employment as it involved work with minors, although the woman making the accusation was not a minor. He faced the possibility of being debarred from his home , denied unsupervised access to his children. He was, at the time of the reading, due to appear in court four days later. A Tarot reading is not a substitute for suitable, professional legal, medical or financial advice. Forecasting is offered in good faith but is by law to be treated as being for interest’s sake. 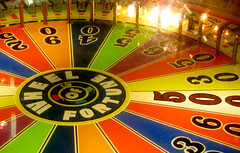 In consulting ANY oracle, you need always to be prepared for the possibility you really might not like the answer. My client, his mother, wanted to be prepared for the worst, ready to support her son. Based on this, I didn’t KNOW because a reader cannot KNOW for certain, ever. But I felt as certain as I could be, she was going to like this judge. I felt that the man was not guilty and that the judge would decide so. The Emperor at his very best represents order, structure, logic, sense and reason. He is a chevalier, a sheltering tree, nests held safely in his branches. He is rule with mercy, compassion for the weak. He upholds fair play raising his shield so not everyone sheltering behind it gets splattered with rubbish and, er…manure. He has another side to him of course: war, dictatorship, tyranny, petty officialdom, overbearing bureaucracy. The card may alternatively signify absence of structure and leadership. As a person, it may be pinpointing weakness or conversely, a bully boy. The Emperor Reversed is no joke, no doubt about it. Historically, Emperors have often been catastrophic for the peace and happiness of their fellow humans, and Alexander the Great is no hero of mine; I’d rather nominate Dr John Snow or Charles Darwin, not only for their achievements, but for their humanity; as tender as tough. The Creation of Adam: detail from Michaelangelo’s Fresco in the Sistine Chapel. But greetings are due to The Emperor at the top of his game – best friends to womankind; those men that we love, and what we love best in men, the sons and heirs of the red earth. Let your Emperor wear his crown and ermine every now and then. And after all, you may be an Empress, and wish to wear yours. Greetings to the Tarot’s Emperor. Author Katie-EllenPosted on June 8, 2010 June 19, 2016 Categories business psychic, card meanings, divination, dowsing, empathy, family, Father's Day, future, human, Intuition, Jung, Man, men, North West, novelist, oracle, parapsychology, precognition, prediction, psychic, psychic writer, psychology, tarot, tarot lessons, tarot reader, tarot reading, tarot readings, tarot spreads, tarot tips, true tarot stories, True Tarot Tales, Uncategorized, unclassified, women, writer, ZodiacTags Ancient, business psychic, e, emperor, Father's Day, forecasting, Gilded Tarot, History, judge, Judgement card, Judgment, Justice card, Lancashire, learn tarot, Major Arcana, psychic, psychic development, Roman Emperor, Rome, Sistine Chapel, tarot, tarot reading, The Emperor card, True Tarot Tales, United StatesLeave a comment on In Praise of Fathers, All Hail To ‘The Emperor’ …. Very often though, it refers to our sense of natural justice, our wish to see fair play done. The Tarot may then kick in as a kind of agony aunt. When we draw it in a reading for ourselves, the advice is to remember to play fair, to try and keep a balanced view, to deal in facts and to keep a cool, calm head. I recently drew a card, Justice Reversed (meaning injustice or delayed justice) in a tarot sitting with a new client. The client had explained that she didn’t really know why she had come. There was no specific problem to be addressed, she said, but she had a weight on her mind and would welcome a little help in getting free of it. The Tarot adores doing this sort of work. Justice Reversed was the first card drawn, the keynote card of the reading. Because it’s a Major Card and because of the lack of a clear single theme shown in the other 7 cards of the spread, I felt its influence was working on her in more than one respect. My client hadn’t mentioned her job. She hadn’t told me anything, only that she had a baby son. But drawing the Justice card, though Reversed, prompted me to tell her that she could discuss work if she wished, because I had experience of reading for commercial lawyers. She then said she was a commercial lawyer. Now the Justice card, as with any predominance of Swords cards, can indicate that a client works in the legal profession. However, there are many more occasions when when there’ll be no such connection. So a reader seeing this card cannot assume the client’s job is in Law. But on this occasion the card had served to prompt a hunch. Thisis the bridge between intuition and clairvoyancy. The client had been harbouring a sense of injustice following a promotion disappointment the previous year. She did not trust the reasons she had been given for not getting the promotion. The Tarot however said that justice had been done. She was still very young, had been in practice 4 years and had been judged not quite ready..it was no more worrying or sinister than that, and so letting go would serve her best now. Promotion looked as if it was in the offing in the not too distant future…positive developments were indicated for July-September. This the client said she could imagine, as she was aware of activities in the pipeline around that time. The Tarot is economical. It has to be able to talk about any human experience at all, using a toolbox of only 78 cards. Each card is a plump and shiny-coated workhorse, and will do multiple jobs in the course of a single reading. Especially if it is a Major card – this can really ‘up the ante’. Comments or questions welcome. See the comment tag below.